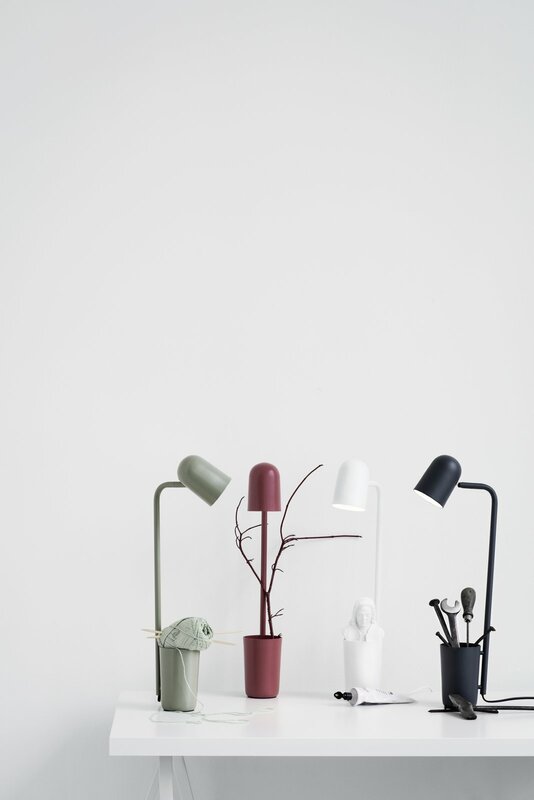 An unassuming little helper is how young Danish designer Mads Sætter-Lassen modestly describes his desk lamp, Buddy, designed for Northern Lighting. The multifunctional design includes a holder to keep pens, keys, and other small objects that are easily lost. The flexible shade, available in five matte colors, can be rotated in any direction.